Learn the art of joining jumprings to create intricate patterns that have been around for centuries. 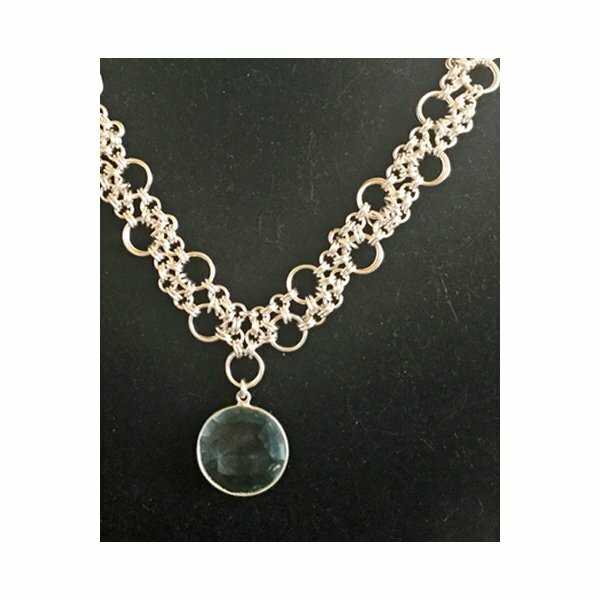 Make a necklace, a bracelet, or choose from 3 different earring kits in silver, bronze or copper. Kit prices range from $20 to $200. Theresa may teach more than one class on a given day. The first 2 students to register determine what is taught that day. If you register on line we will call you to confirm your choice.Note: Our flexible schedule means that recent changes at the shop may not be reflected on line! Please don’t sign up on the website a day or two before class--give us a call to make sure there is a class and that there is room for you. Thank you.